Around the city, copies of the Proclamation of the Irish Republic were posted on buildings, declaring Ireland a sovereign state, guaranteeing fundamental rights and declaring a provisional government, pending elections by all the people, men and women. 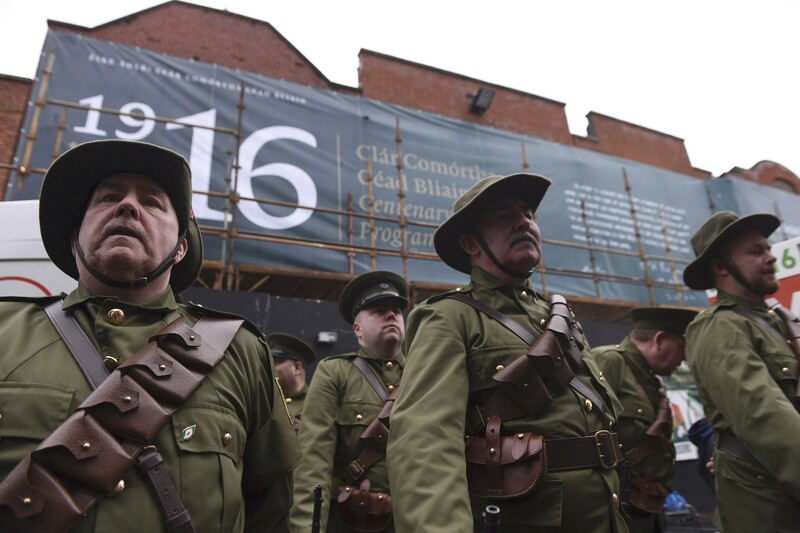 This year marks the 100th anniversary of the Easter Rising, as it was known. 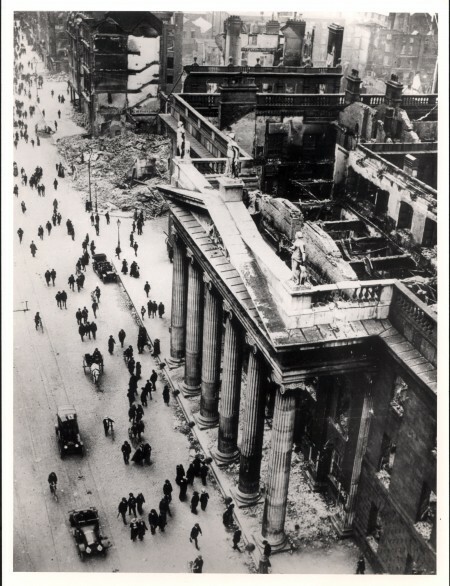 The six-day insurrection by Irish rebels against British rule has divided Ireland for a century; some see the rebels as martyrs, others as leaders of a treacherous revolt. “What happened developed out of a huge ferment that included the Gaelic language revival, the explosion of what’s sometimes called Anglo-Irish literature, along with both a strong nationalist party under (John) Redmond and, of course, a secret wing, the Irish Republican Brotherhood that wanted independence by violence,” said Irish Father Brendan Purcell, adjunct professor of philosophy at the University of Notre Dame Australia. “Unfortunately, the independence that resulted didn’t really include a religious development in itself,” said Father Purcell, although he noted Irish Catholicism was strong at the time. The insurrection left around 500 dead, mostly civilians, and thousands injured. Approximately 1,500 Irish men were interned in Wales, while the 16 rebel leaders were imprisoned and executed. Dublin’s city center lay in ruins. “People will say hard things of us now, but later on they will praise us,” Pearse wrote on his execution day. His words proved prophetic. The executions galvanized public opinion. In the 1918 British Parliament elections, nationalists won 70 percent of the Irish seats. After those elections came a wider armed campaign against British rule, the War of Independence, which ended with the signing of the Anglo-Irish Treaty in 1921. The Treaty split the nationalist movement and led to a civil war and the partition of Ireland. However, the rebel leaders and others were convinced they did right. 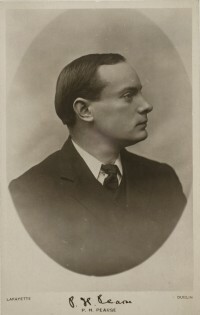 It was “a sacrifice which God asked of me,” wrote Pearse. During the Rising, the Capuchins turned their Father Matthew Hall into a shelter for children and allowed the women volunteers to minister to fighters. The Capuchins also went out into the streets to minister to the wounded.